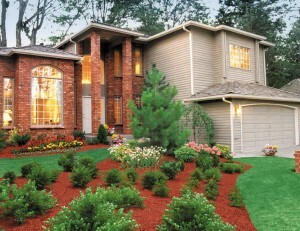 Taylor produces naturally-aged mulch and vibrantly-colored, dyed mulch right on our site. Stop in to see a sample, pick some up, or give us a call to arrange delivery. 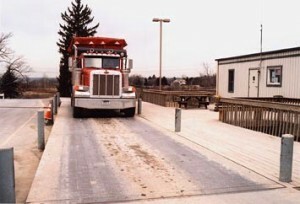 We crush, screen and grade masonry material (asphalt, concrete, brick and stone) received at our facility into a NYS DOT-approved Item IV substitute stone, which has multiple applications on both construction sites and on residential properties. 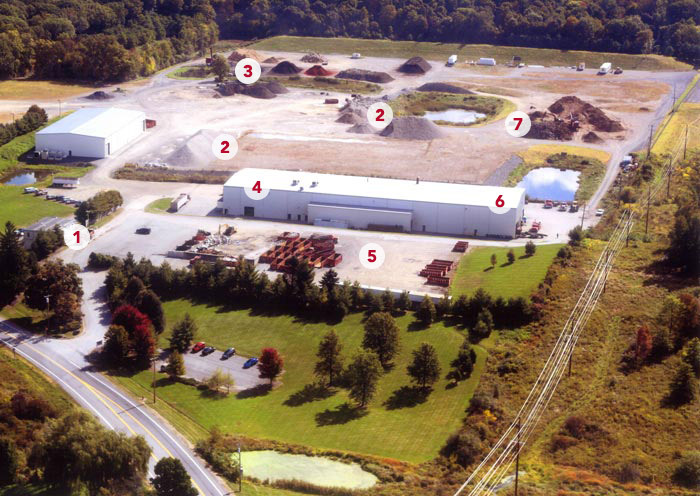 Taylor produces a rich topsoil through our stump recycling and processing operation. The Taylor site receives an average of 53,000 tons of C&D debris per year. 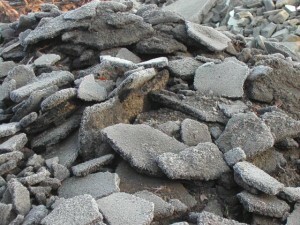 Mixed material is sorted and separated, both mechanically and by hand. 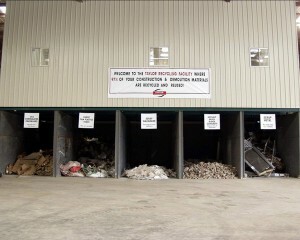 We recycle or reuse over 95% of the material we receive into useful products for commercial or home use. Our specifically engineered, state-of-the-art wallboard recycling plant separates recovered gypsum powder from unpainted or treated paper. This material is primarily used in agricultural markets. The scale at Taylor is open to all homeowners and contractors Monday through Friday, 7:00 am to 4:30 pm and Saturday from 7:00 am to 12:00 pm for the disposal of construction and demolition debris. 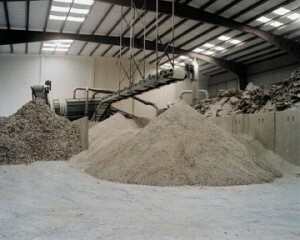 Mulch, crushed stone and other materials can also be purchased by stopping in at the scale. 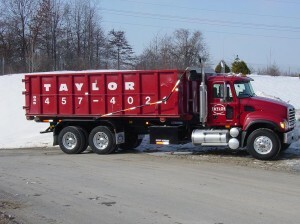 Taylor rents 12, 20, 30 and 40 cubic yard roll-off containers in all of Orange County, as well as parts of Ulster, Dutchess, Sullivan and Putnam counties, for those customers who do not have the ability to bring their construction & demolition debris to us.